the tennis court on Mexican soil and the other half on US soil. Borg Open – Tennis across Borders – is an initiative intended to manifest an open world in which sport has the power to unite people. and learn from one another instead? 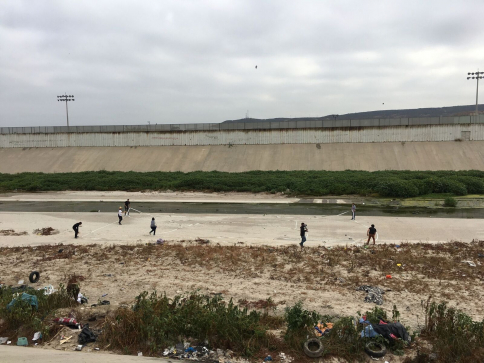 That ’s why Swedish sportswear brand Björn Borg has manifested a tennis match on the U.S. – Mexican border, at Tijuana River, where a game has been played between tennis players Mariano Argote (MX) and Peter Clemente (US).